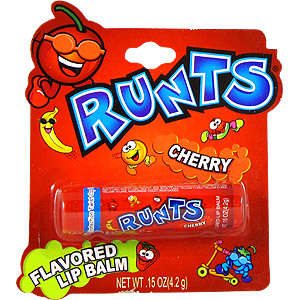 Wonka introduces their best selling candy in the form of a lip balm. 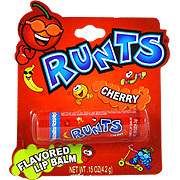 Runts Cherry Flavored Lip Balm is in your fingertips. Apply it to your lips and keep the delicious cherry flavor on your lips for the whole day. 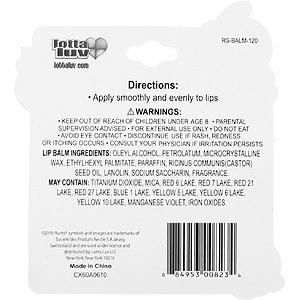 Cherry Lip Balm - Flavored Lip Balm, 1 pc is shipped in a discrete, unmarked package. Orders are processed immediately and usually takes about 3 to 5 working days to be received. We do ask that you try it for 2 to 3 weeks to feel the full effects. Any information received is used only for order processing and shipping purposes. Your information, such as e-mail address, will never be disclosed to a third party.